your Gi (karate suit), white belt & SSKA & Club Badges embroidered on your suit. 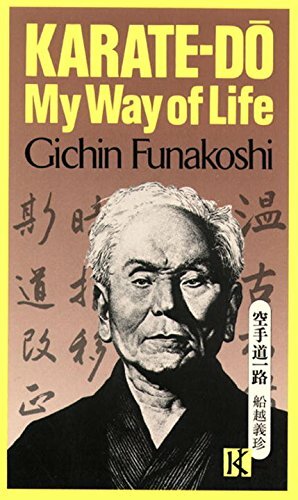 "Karate-do: My Way of Life"
or for Children/Juniors, a copy of "My First Look at Karate"
* The offer of a Free book above applies to those members who train twice a week only & as long as titles are still available. PS: You will not receive these items & offers at ANY other SSKA Club! All you need to do is train as regularly as possible, it's recommended that you train at least twice a week to stand a reasonable chance to pass you grade comfortably. Over the next few weeks you will spend some time during your lessons warming up with some physical exercises and some exercises to help with your flexibility. After this you'll start learning some karate techniques. These are made up of three things, basic kicks, punches and blocks, sparring with a partner and something called a Kata which is a predefined set of choreographed moves. This is not difficult for the average person so please do not worry about strange new words, terminology or the fear of being spoken to in Japanese. You will be given a syllabus on joining so that you may plot your progress and a calendar so that you can keep an eye on when gradings are. There is some very useful and important information contained in your membership application pack & membership book, please be sure to keep them in a safe place and read them. A week or so before your grading (or exam for your first grade) you will need to attend what is known as a pre-grading lesson where you can iron out any last minute problems and brush up on everything you have learnt so far. and your Kata for your grade called Kata Kihon, a sequence of 20 moves with blocks, punches and turns. 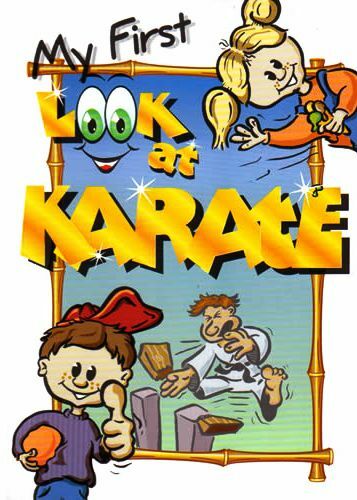 Karate is NOT really about Kicking & punching!